The K-pop scene has been set abuzz by reports confirming that BTS’ member Suga is collaborating with singer Lee So-ra for her upcoming single. “Song Request” (direct translation), written by rapper-songwriter Tablo of hip-hop trio Epik High, will be released at 6 p.m. Tuesday night, more than a year after the collaboration was first reported in the summer of 2017. Anticipation has been building for a number of reasons: The song marks the first time the BTS member will be featured in another artist’s song. Reports also revealed that Suga himself wrote the lyrics for the rapping part of the song. 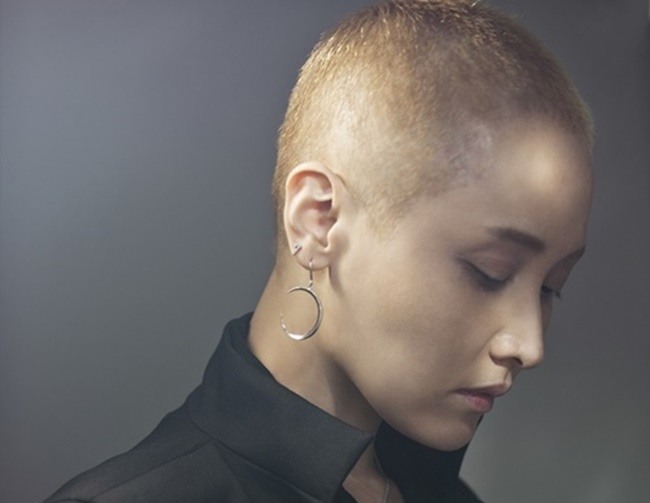 Furthermore, the single will see Lee work with Tablo for the first time in eight years since she was featured in his solo track “Home” from his album “Fever’s End” in 2011. Suga has said he was inspired by Epik High’s song “Fly” to become a rapper. On Twitter, Tablo wrote last week that he was “honored to write a song” for Lee. Though Lee might not be as well-known as the other two in the international K-pop fandom, she is a veteran singer with over 25 years of experience and a star in her own right. Ahead of the release of the single, here are some essential facts about her. Since then, she has released a total of eight studio albums over the past two decades, winning praise for her music from both the public and critics. Her sixth album, “Eyebrow Moon” (direct translation), led to the singer being named female solo artist of the year at the Korean Music Awards in 2004. Despite having enjoyed a great deal of success both commercially and artistically, the singer has kept a relatively low profile in recent months. After she appeared on the JTBC reality show “Begin Again” in 2017, she has not made a media appearance. She was set to release her ninth album in 2016 after releasing a digital single written by Kim Dong-ryul, but instead, fans were left hanging. In October, she released another single, “October Lover,” which will be followed by the new single. Lee is a well-known and self-confessed heavy “World of Warcraft” player. During a trailer for “Survival: I am a Singer” in 2011, she was seen playing the online game. While appearing on another show, “You Hee-yeol’s Sketchbook,” she said she does not go out much and enjoys playing video games. When rumors began circulating that she had around 8,900 achievement points at that time, she clarified on TV that her score is closer to 6,500.